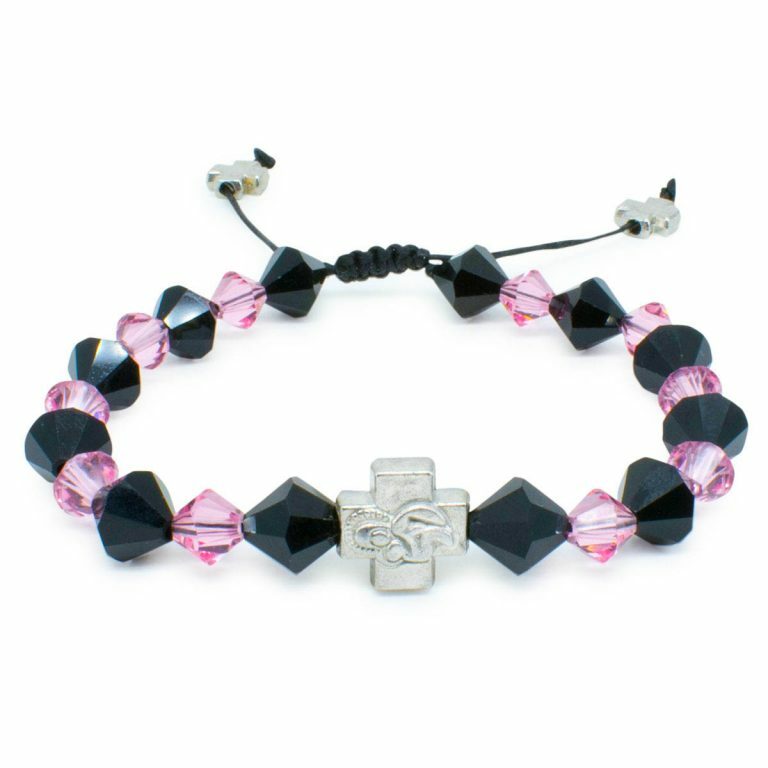 Black and pink genuine Swarovski (Elements) Crystals combined give you “Black Velvet” This Swarovski Crystal Orthodox Bracelet is exclusive and designed by 33Knots. 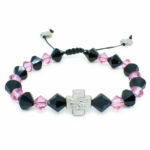 The cross bead is double-faced and depicts our Holy Mary on one side and a cross on the other. 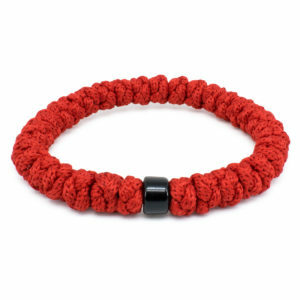 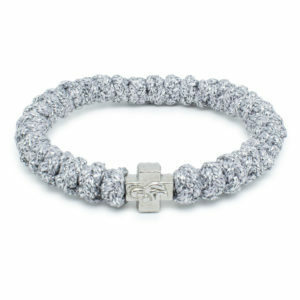 This bracelet fits all wrist sizes and can be adjusted by pulling on the cords.